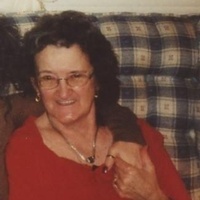 Jean Carolyn Workman Rupe, age 76 of Pulaski passed away Monday, March 25, 2019 at her home. Born January 16, 1943 in Oceana, West Virginia she was the daughter of the late French & Hannah Brown Workman. Her husband, Daniel David Rupe, son, David Rupe, brothers, Vincent Workman, James Gordon Workman, Jamie A. Workman, Marlon Gene Workman, and sisters, Ermal June Workman and Lona Mae Abell also preceded her in death. Funeral services will be held Friday 2:00 p.m. March 29, 2019 at the Bower Funeral Home-Chapel, Pulaski with Rev. Dale Akers officiating. Interment will follow at the Oakwood Cemetery, Pulaski. The family will receive friends one hour before service time at the Bower Funeral Home. To sign the online guestbook, please visit www.bowerfuneralhome.com. Bower Funeral Homes, Pulaski is handling the arrangements for the family.